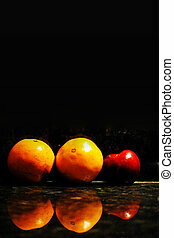 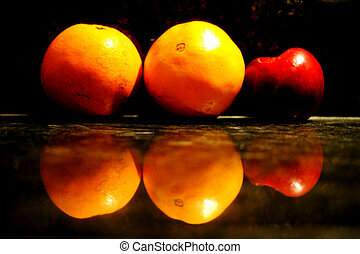 An apple and two oranges reflected in a black marble counter top. 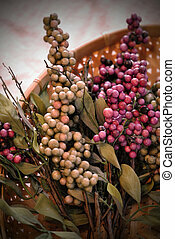 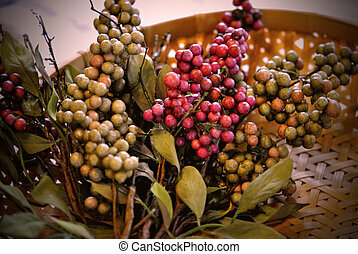 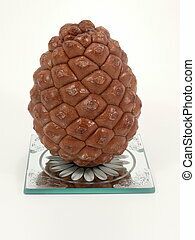 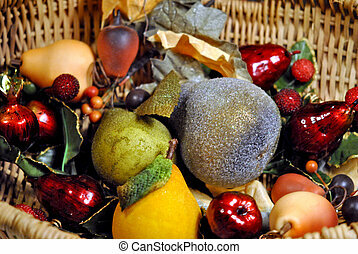 Branches of berries in a basket. 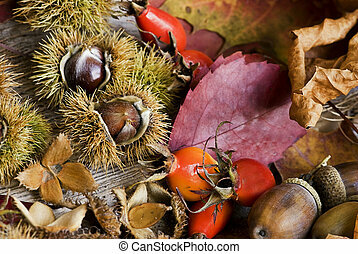 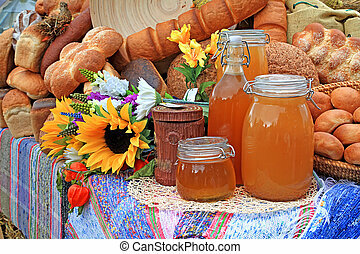 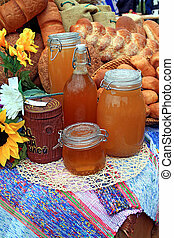 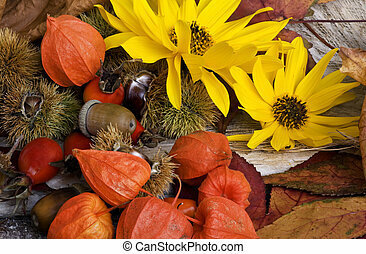 Autumn still life. 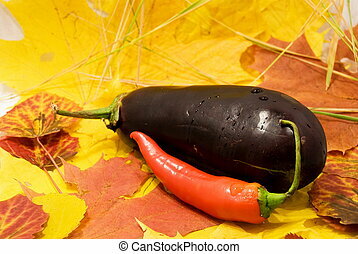 Plenty of copy space. 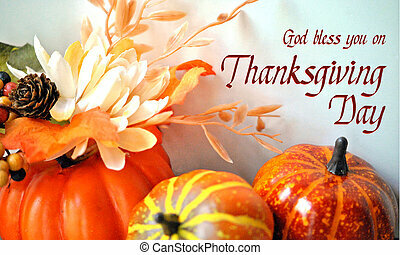 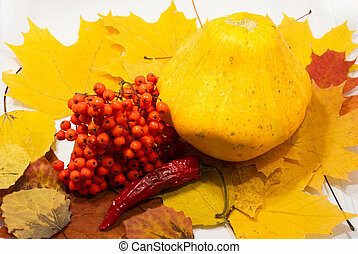 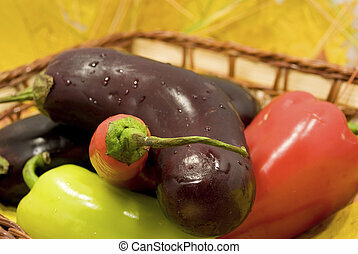 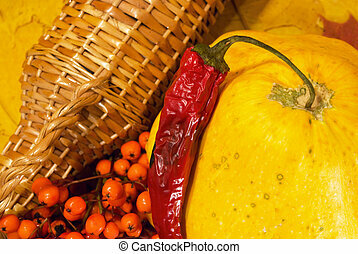 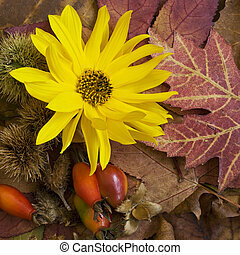 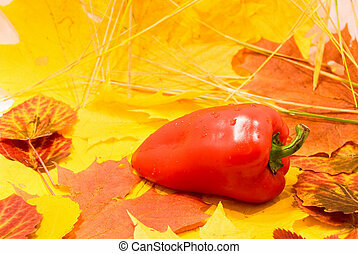 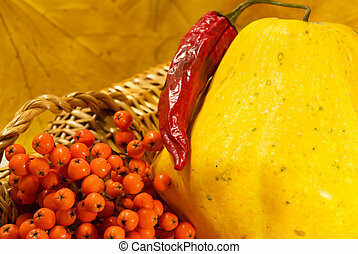 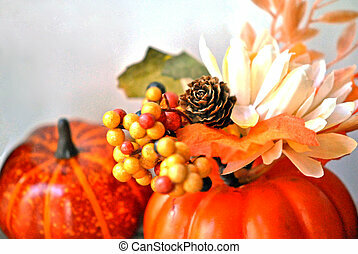 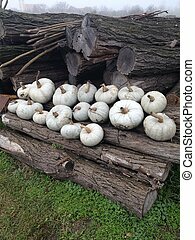 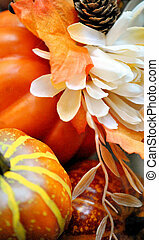 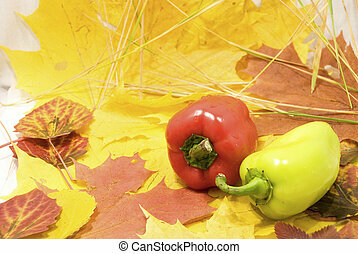 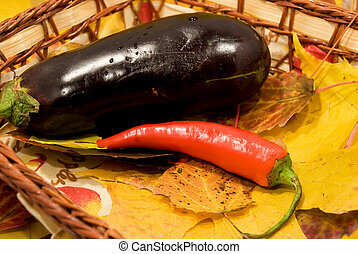 Border of autumn leaves and vegetables on a white background. 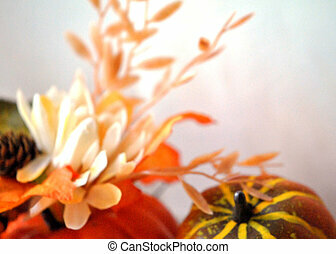 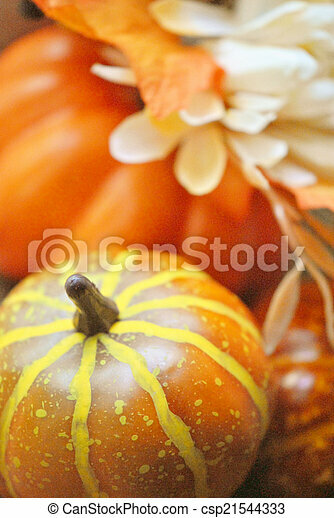 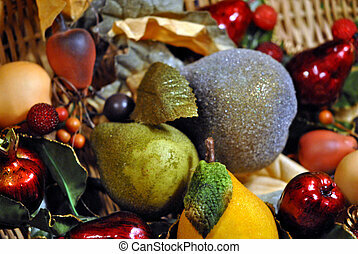 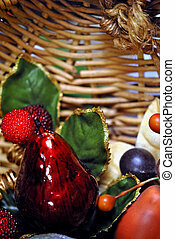 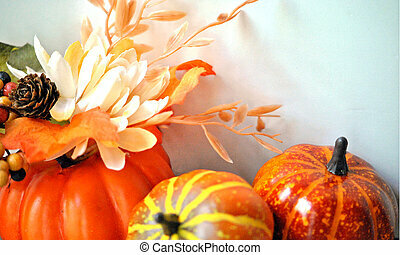 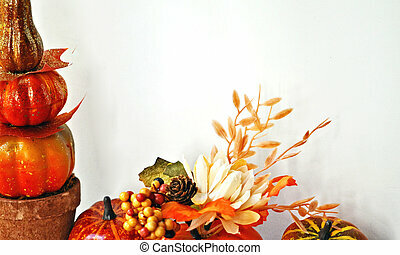 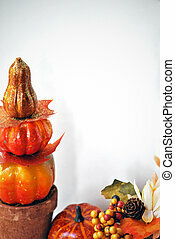 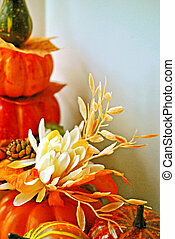 Autumn fruit and floral arrangement on pastel background; plenty of copy space.